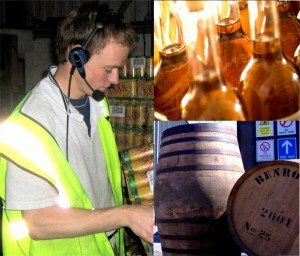 Accord® Bonded Warehouse provides all the functionality required to successfully manage an HMRC/IRC excise bonded warehouse operation. Fully integrated to Purchase Order Processing and Sales Order Processing, the module accurately logs and tracks duty payable stock in the warehouse. It is fully compliant with UK and Irish Customs & Excise regulations for bonded operations and ensures that the correct duty and VAT is paid to the C&E promptly each month and that C&E have full visibility of how the duty and VAT payments have been calculated. The use of Voice technology to give seamless real-time updates has been a major breakthrough in data recording to meet HMRC and IRC regulations.